Home / Andre The Giant / Back To The Future / Bret Hart / costume / David Bowie / E.T. 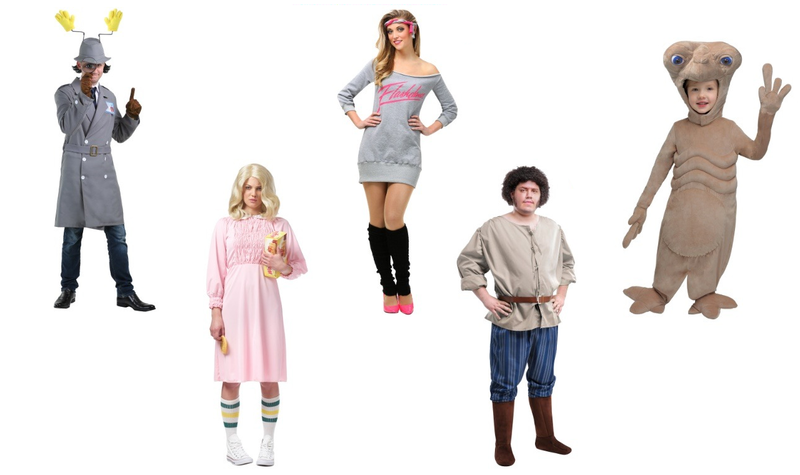 / Flashdance / Halloween / Inspector Gadget / Karate Kid / Pop Culture / Stranger Things / The Princess Bride / Kick Off Halloween Season With New '80s Costumes and a $50 Gift Card Giveaway! 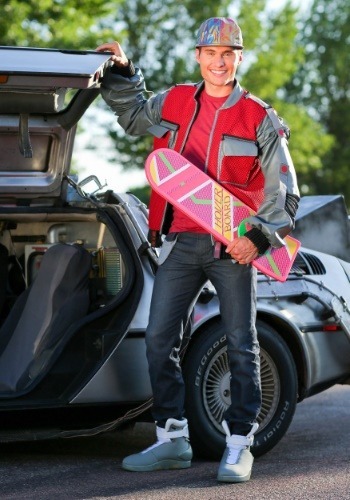 Kick Off Halloween Season With New '80s Costumes and a $50 Gift Card Giveaway! One of my favorite RD80s affiliates is HalloweenCostumes.com which is one of the best places on the web to find '80s-themed character costumes. They are also behind some of the fun infographics I share on occasion. 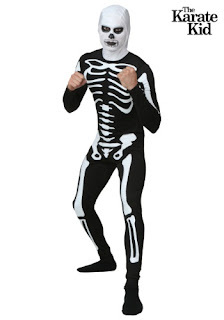 This Halloween season, they have a slew of new costumes ready to scare up some fun and are giving RD80s followers a chance to win a $50 gift card!! Go Go Gadget Costume! This officially licensed Inspector Gadget costume comes with everything you need to go after the evil Dr. Claw. You'll get his famous trenchcoat-style jacket with belt, a hat wired with go-go-gadget hands, gloves, and his inspector badge. 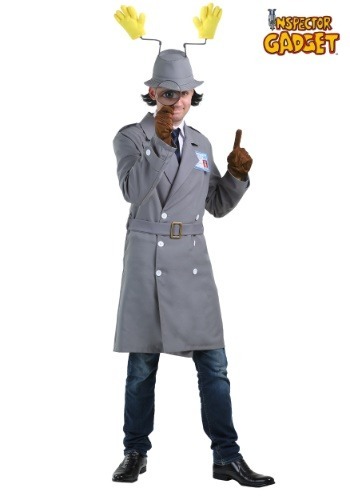 Purchase the adult Inspector Gadget costume at HalloweenCostumes.com for $49.99. 2017 marks the 35th anniversary of Steven Speilberg's classic E.T. : The Extra Terrestrial and if you've rediscovered the movie with your kids (as I have,) you might be interested in the new E.T. Toddler costume. It comes with a micro-fiber fleece bodysuit and a hood with a soft sculpted face that kids from 18 month to 4T will love wearing. Purchase the E.T. 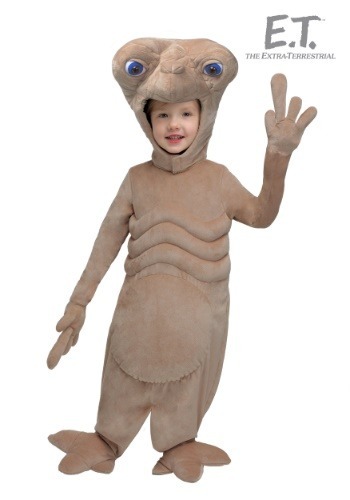 toddler costume now at HalloweenCostumes.com for $39.99-$49.99. 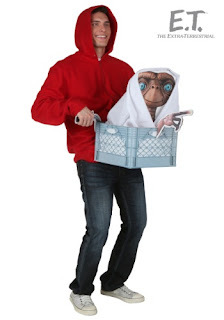 And if parents want to pretend they are rescuing E.T. 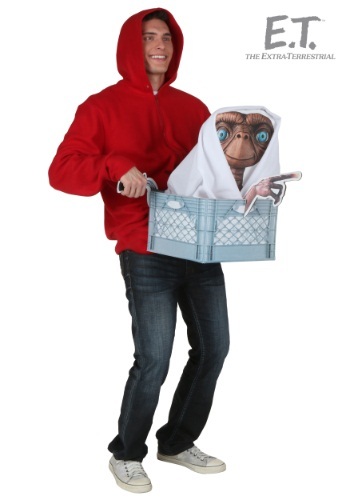 on their BMX bikes, check out the adult Elliott costume which comes with a sweatshirt, blanket, and E.T. cardboard cutouts. Purchase the adult Elliott costume now at HalloweenCostumes.com for $49.99. For all you maniacs ready to dance like you never danced before, check out this officially licensed Flashdance costume guaranteed to unleash your inner Jessica Beals. Comes with a french terry sweatshirt "dress" with the Flashdance logo printed on the front, Black knit leg warmers, and a pink and grey headband. Purchase the adult Flashdance costume now at HalloweenCostumes.com for $49.99. 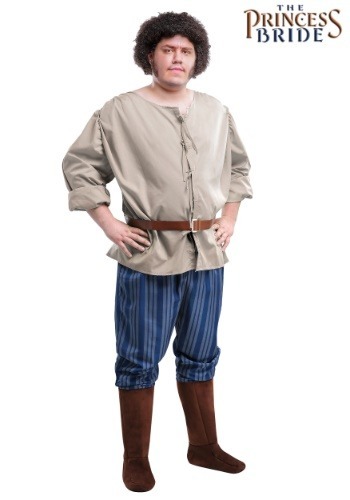 This officially licensed and exclusive Fezzik costume is perfect for Princess Bride fans with the strong physique of a lion and the heart of a kitten. Costume comes with Fezzik's shirt and belt, striped pants, and boot tops. All you'll have to do is grow out your afro and muttonchops or find a suitable substitution. 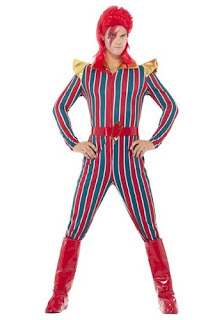 Purchase the adult Fezzik costume now at HalloweenCostumes.com for $44.99. Channel your inner David Bowie with this '80s Space Superstar costume tailored for both men and women. You'll get the striped jumpsuit with belt (and boot covers for men's costume) to complete your superstar look. Purchase the Men's '80s Superstar Costume for $59.99 and Women's Superstar Costume for $49.99. To be "the best there is, the best there was, and the best there ever will be" is now actually pretty easy! This adult Bret "The Hitman" Hart costume comes with a jacket, pants, and tank top with his signature pink and black emblem and design. Officially licensed by the WWE. Purchase the adult Bret Hart costume now at HalloweenCostumes.com for $59.99. Leggo my Eggo! 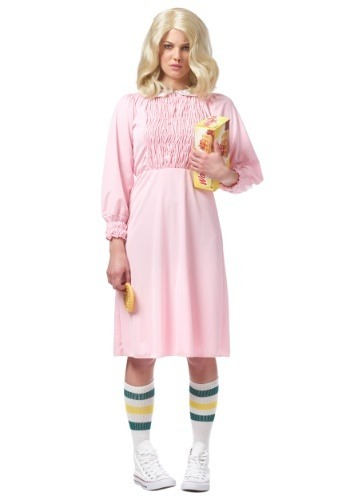 With the season 2 debut of Netflix's Stranger Things this Halloween season, no costume could be more appropriate than this Strange Girl. Get the dress and tube socks you'll need to move things with your mind. Eggos and fake nose bleed will be up to you. 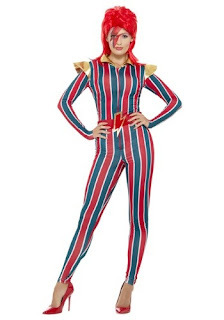 Purchase the women's Strange Girl costume now at HalloweenCostumes.com for $44.99 - $49.99. More new items include an authentic, officially licensed Marty McFly Jacket from Back to the Future: Part II and new styles in The Karate Kid costume collection. Now that you've seen what's new, how about a little incentive to party this Halloween season! Register through the Rafflecopter widget below to win a $50 eGift Card to HalloweenCostumes.com! Contest open worldwide. Winner chosen at conclusion of contest and contacted via email. Good luck!